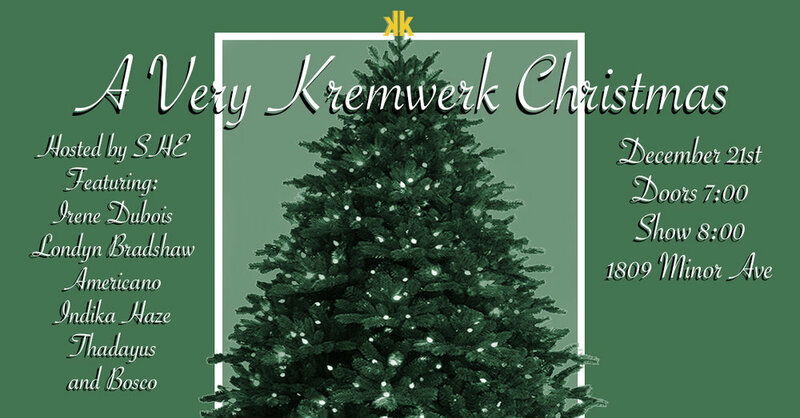 Get ready to ring in the holidays with your favorite Kremwerk drag performers â€” these Queers are bringing you all the Cheers! A very special one-night engagement. Deck the halls & enjoy a festive night that'll amaze even the most sullen Grinch! Highlighting an eclectic variety of holiday performances, and some surprise duets, spike your eggnog & enjoy the show! Hosted by SHE & featuring performances by Americano, London Bradshaw, Bosco, Indika Haze, Thadayus & Irene Dubois.